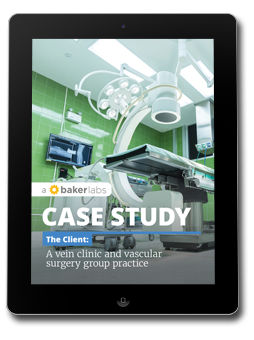 This was the case with one of our clients, a vein clinic and vascular surgery group practice. They had been consistently investing 80% of their marketing budget in traditional methods, but the costs had been increasing 10-15% each year without equal returns in patient growth. They came to us looking for help, and within two years, we increased their website traffic 300% and generated hundreds of new appointment requests online. To see our successful marketing solution, click the button below to view the case study.